Offering the best in exotic woods since 1798. 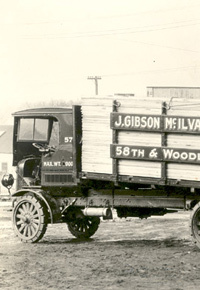 The J. Gibson McIlvain Company has been providing customers nationwide with quality selections of exotic and domestic lumber, as well as custom millwork and mouldings, since 1798. In 1970, Gib McIlvain became the sixth generation to join the family owned business. With experience gained working in a west coast sawmill during the summers along with experience from buying domestic hardwood from places all over the world, Gib has brought a wealth of knowledge to the company. His industry related experience, as well as his active participation on several foundation boards, helped prepare him to become president of the company in 1979. 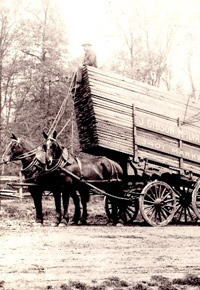 The J. Gibson McIlvain Company has always held great pride in continually offering customers quality lumber from only the finest forests in the world, as well as exceptional customer service and satisfaction. Two centuries worth of experience have passed down from generation to generation, and, with the recent addition of Gib’s daughter, Caroline, the J. Gibson McIlvain Company is now a seventh generation family business. 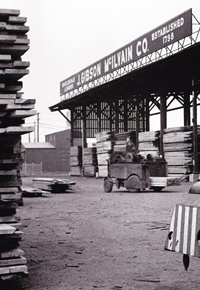 The staff of the J. Gibson McIlvain Company is comprised of expert representatives who have worked in varying aspects of the lumber field for many years. Our staff use their previous work experience combined with their dedication to customer satisfaction to provide each and every customer with the answers and resolutions to their most demanding project specifications. Each of our customers is assigned their own personal McIlvain sales representative who will devote their time and attention to your project needs. This representative will be actively involved in every stage of the order process, from the initial order to the timely delivery. By taking a hands-on approach, our sales representatives can ensure that only the finest lumber is sent to each customer. In addition to superior customer satisfaction, the J. Gibson McIlvain Company also takes great pride in our extensive lumber inventory and selection. We send our team of experienced representatives to forests all over the world. After careful inspection, our lumber specialists choose only the premium lumber to ship back to our Baltimore, Maryland facility. Upon arrival, the lumber will undergo several additional inspections during the order process to ensure it is free of defects. The J. Gibson McIlvain Company is dedicated to providing our customers with only the finest materials hand selected by our expert representatives. We will work with you through every stage of the order process to ensure that your project’s needs are fulfilled.